I am trying to lose weight. I was at the doctor’s office, stepped on the scale, and was saddened by the weight they were recording. I had gotten off track and it wasn’t good. I’ve always been overweight. Sometimes it bothers me, most of the time it doesn’t but this time, it hit me like a ton of bricks. I needed to do something NOW. I really needed something to help me kick-start my weight loss. 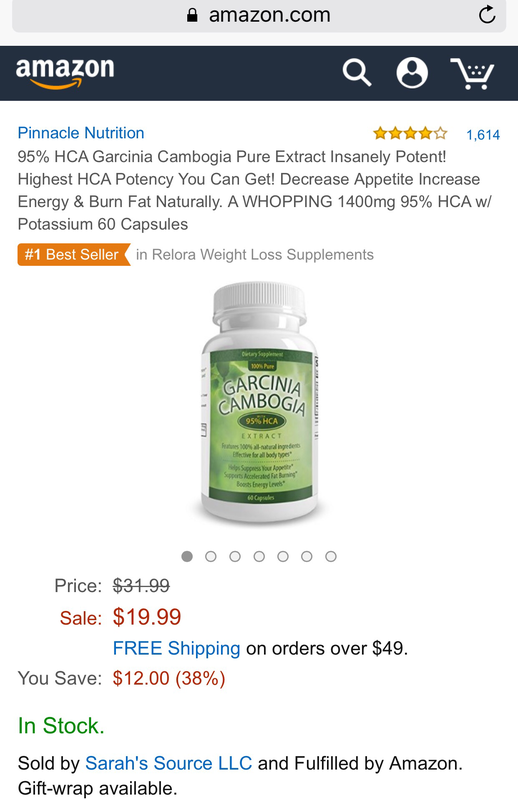 I had read about Garcinia Cambogia before but honestly, I thought it was a gimmick so I brushed it off. I went back and started doing more research. It seemed to have mixed reviews. One thing that seemed consistent in all my reading is the purity of the product really made a difference. I looked at the product at Sam’s Club and Wal-Mart but it was only 50% pure. As I’ve mentioned in a previous post, I have been using Amazon more and found a product that claimed to be 95% pure and had a 4 star rating based on over 1600 reviews. I decided to dig a little deeper about this product. Let’s face it, they couldn’t buy that many positive reviews. It was worth reading a few of them. I was pleased with the reviews, found them to be credible, and decided it would be worth the $20 to try it. I spoke with a co-worker who decided she wanted to try it as well, so we ordered two bottles. The day I placed the order, I decided to start watching my caloric intake before the product arrived. I logged into the My Fitness Pal app and updated all of my information. It calculated my daily allowance of calories at 1732 based on my current weight with a desire to lose 2 lbs per week with a sedentary lifestyle. I decided I was going to start realistically and then any exercise I did would just be a bonus. About 2-3 days after ordering, I received an informative email telling me how to get the most out of the product. It stated to take 1-2 pills 45-60 minutes before eating on an empty stomach. Of course, my skeptical mind thought….oh sure, just a gimmick to get me to buy more because my “month supply” just turned into a 15 day supply if I wanted to “Maximize” my results. I decided it didn’t matter, I was going to follow their instructions and track my results. The product arrived and I started taking it on February 24, 2016. The bottle looked just like the pictures. The capsules were fairly easy to swallow. The only complaint I have is, since they are gel capsules, they sometimes seem to lodge themselves in your throat and you have to drink 2+ glasses of water to get them down. This doesn’t happen all of the time and I can’t explain why it happens sometimes and doesn’t others. I knew I was stopping at Chipotle for dinner so I didn’t really eat lunch that day. I had a handful of cashews with sea salt for lunch. I needed extra calories because I wanted to be able to have chips with my dinner! I took 2 pills in the parking lot, went in to order dinner, then headed home. To be honest, I didn’t notice a lot of difference. I ate my normal Chipotle meal. I was full when I was done, but I usually am. (Side note….I LOVE Chipotle and could eat it 1-2 times a week…am I the only one who wishes they have a “frequent diner” type card?) To be fair, I had only waited about 35 minutes because I didn’t want my food to get cold. The next day, we had a meeting at lunchtime and we were having Panera. I ordered a salad along with some Macaroni & cheese. I took 2 capsules 45 minutes before the meeting was supposed to start. It ended up starting a little later, so I was closer to the hour before I started eating my salad. I finished my salad and started on the macaroni & cheese. I couldn’t even eat half of the first container! (Panera puts the to go Mac & Cheese in 2 containers). I was shocked. I closed it up and put the two containers in the refrigerator. After the meeting, I went back to work and had no desire to snack on anything during the afternoon. Over the weeks, I tried diligently to keep my calorie count under my daily goal. I tracked every mint, every tootsie roll, etc. I still drank my Coke, I stillate my Chipotle and chips, I would still stop at Culvers….but I also cooked more at home, made smart decisions to balance my calories for the day. I would have 1 day a week where I wasn’t as careful and would have about 2000-2200 calories but I would also have days where I only had 800 calories. 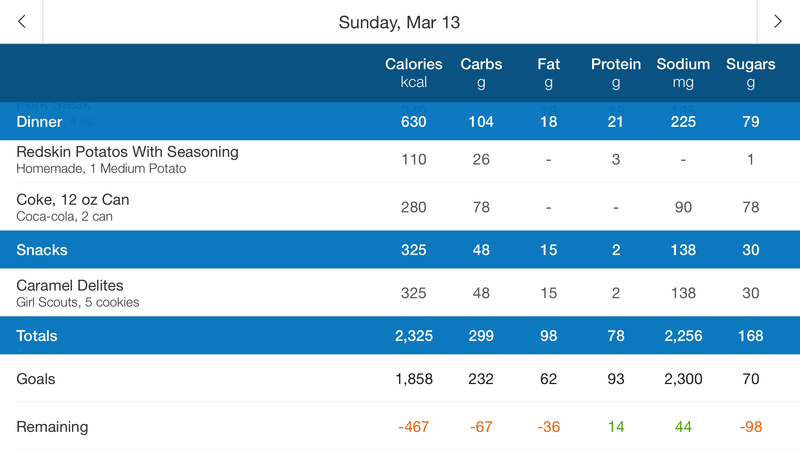 For the most part, I stayed around 1500 calories. Some things I noticed during those times….I didn’t have cravings. I wasn’t starving, even on the days I did the lower calorie counts. I would balance the number of pills I took based on the size of the meal I was going to eat. For example, if I was going to sit down and eat a full size meal, I would take two pills, but if I was just going to run through McDonalds and order a Crispy Chicken Snack Wrap, I would only take one. I do have to say, if you need something quick and tasty, those are one of the best 350 calorie items. They are tasty, they are filling. You can also order them grilled for a few less calories. I think by balancing the pills, planning my meals, I was able to maximize on the effectiveness of them. I spent the day with friends at Horsefest in Springfield, MO. I took my pills but I did not take them while I was there due to time constraints with meals and just not planning efficiently. I had also decided I wasn’t going to track my calories for the day. Here are a few things I noticed. I wasn’t in the back of the pack struggling to keep up with my friends. We went down a flight of stairs to look at some vendors and I noticed when I climbed back up them I wasn’t winded or felt like it was a struggle to do so. Does this mean I am gaining more lean muscle like it claims? I’m not sure. What I do know is I felt better about myself and my movements. We went to dinner at Texas Roadhouse (you can read about a previous experience here) and yes, I ate a few of the rolls. I said I wasn’t keeping a calorie count for the day, I was out with friends and I wanted to enjoy myself. The interesting thing is….I wasn’t able to finish my steak dinner! I took about half of it home. In the past I would have ate 3-4 rolls AND finished my steak. The less meat consumption was even with me not taking any pills all day, so it is obvious my stomach has shrunk slightly. Even with the additional calories and not taking the pills, I only gained 2.2lbs from the day before. I will admit though, I had a difficult time losing those 2.2 lbs. Seemed to take me 3-4 days. Makes me wonder if it would have been that difficult if I had taken the pills before eating that large of a meal. Here are the results after taking for 4 weeks (28 days) exactly. Now, those changes aren’t overwhelming, by any means….but they were done simply by taking the Garcinia Cambosia and watching my caloric intake on a track designed for 2 pounds of weight loss per week. I wasn’t perfect with that track. I probably had 6 cheat days, including one where I drank a can of Coke and ate 5 Girl Scout caramel delight cookies….and let me tell you, they WERE a delight! But I paid for it in the calories that day! So I consider inches lost and pounds reduced to be a win. I am continuing with the Carginia Cambosia. I am getting ready to spend a week in Orlando, going to Disney World, Universal Studios, and Sea World where I do not plan on watching my calories as closesly as I have been, but I do plan on continuing with the Garcinia Cambosia. I have also recently read that they work better when you pair them with Pure Green Coffee Bean Extract which I have decided to order from Amazon. I did see some at Wal-Mart where the percents were too off, so I will be trying them while I’m away but won’t share my true experiences until I have tried the strong, purer, product. I will be sure to share them. I do want to say at the time I am posting this, I have currently lost 19.8lbs. I wish it was more, but again, for only taking a little over 4 weeks and not including any major exercise, I am pleased with the results. 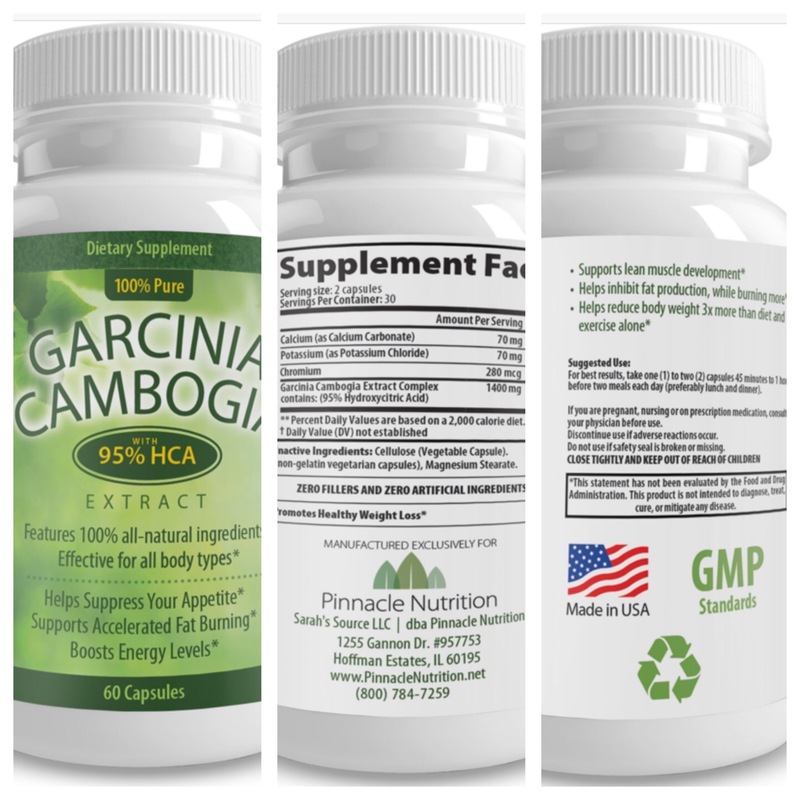 Have you personally tried Garcinia Cambosia? Have you tried the Green Coffee Bean Extract? I would love to hear your experiences, both good and bad. I remember growing up, walking past a pet store window, and going “Awww look at the puppy! I want one!” Much like stores placing candy at the checkout aisles in a grocery store, pet stores who sell puppies rely on the impulse factor to get you to buy one. You see one you just HAVE to have, you go in, you play with them, and you are hooked. I have even fallen under the pet store impulse spell. Back in 1997, my ex husband and I went in “just to look” but we were NOT going to purchase one. $800+ later, we walked out with Jake, my first dog as an adult. 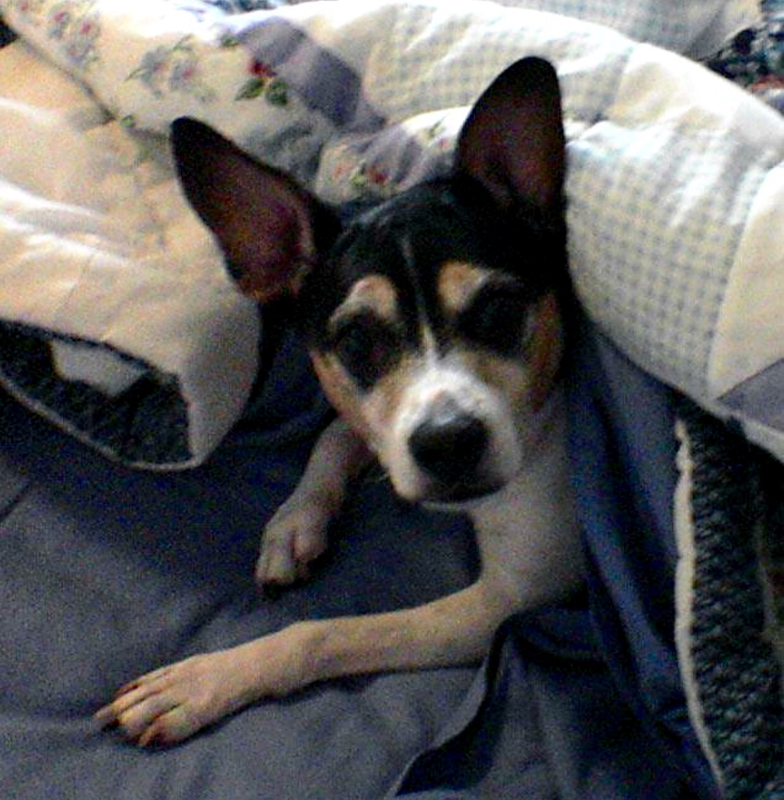 Jake was an adorable rat terrier. The sales associate explained he was UKC registered but not AKC registered and had us convinced how unimportant that was. Looking back, I have to appreciate how great he was at his job! This was 1997, I didn’t know then what I know now. I don’t regret buying Jake, he was an amazing dog, but I will never purchase another dog from a pet store. I may be an advocate for adopting but that doesn’t mean I am 100% against buying a purebred dog also. I just want everyone to understand the pros and cons as well as clear up some myths or, in reality, some ignorance, about purebred dogs, shelters, rescues, and pet stores. First, I understand wanting a purebred dog. It is OK if you want a specific breed. You want a particular look. There is nothing wrong with it. The first question I would ask is “why?” Why do you want a purebred? Is it the look? Ok. Is it the love of the breed? Ok Is it because they are better dogs? NOT TRUE! Fact: You can find purebred dogs in shelters and rescues. You can even find AKC registered dogs in shelters and rescues. 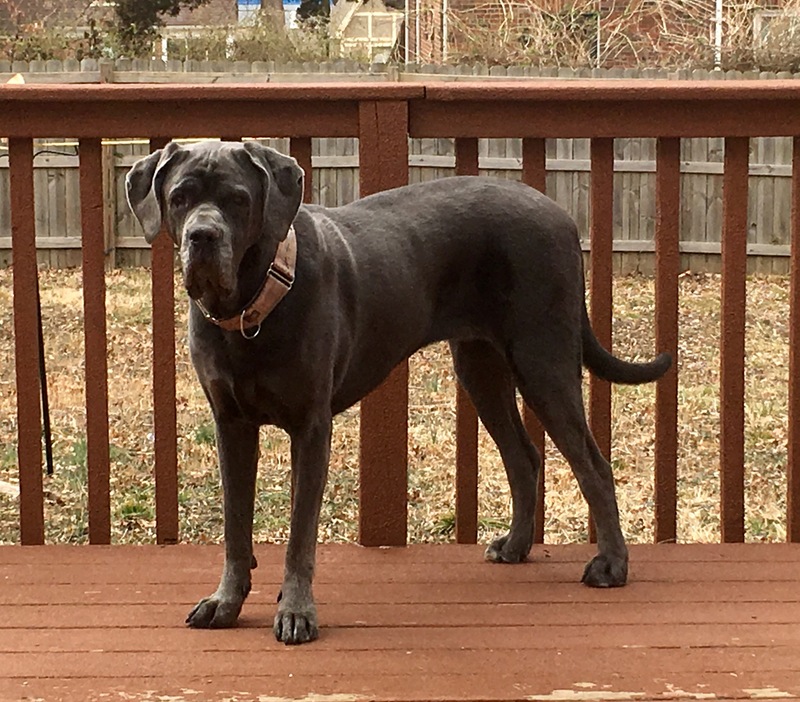 My Neapolitan Mastiff, Bella, is one. Have I ever sent for her papers? Of course not. (For the record, I never sent in for Jake’s either) I wasn’t going to breed either one of them so why spend the money? Yes, getting a piece of paper that says who their mom and dad is costs money. What are you going to do with it? Tuck it in a drawer just to say you have it. Just because someone spent a lot of money on a purebred dog doesn’t mean the dog was given a forever home. They get abandoned, turned in, re-homed, etc., all the time. Talk to your local shelter about what breed you are looking for and they can give you the names of the ones they work with. Sometimes if a purebred dog is in the shelter, the shelter will call a local (or sometimes a not so local) rescue group for that breed. The group will take the dog out of the shelter and into a foster home and then they work to find a new family for the dog. This frees up another cage in the shelter, gets the dog out of a cage and into a home where the foster parent(s) most likely loves and understands the breed, and the rescue group works to find a new family. Another way to find a breed specific rescue group is to just search the Internet. Type in the breed you want followed by the word “rescue” and your search will begin. 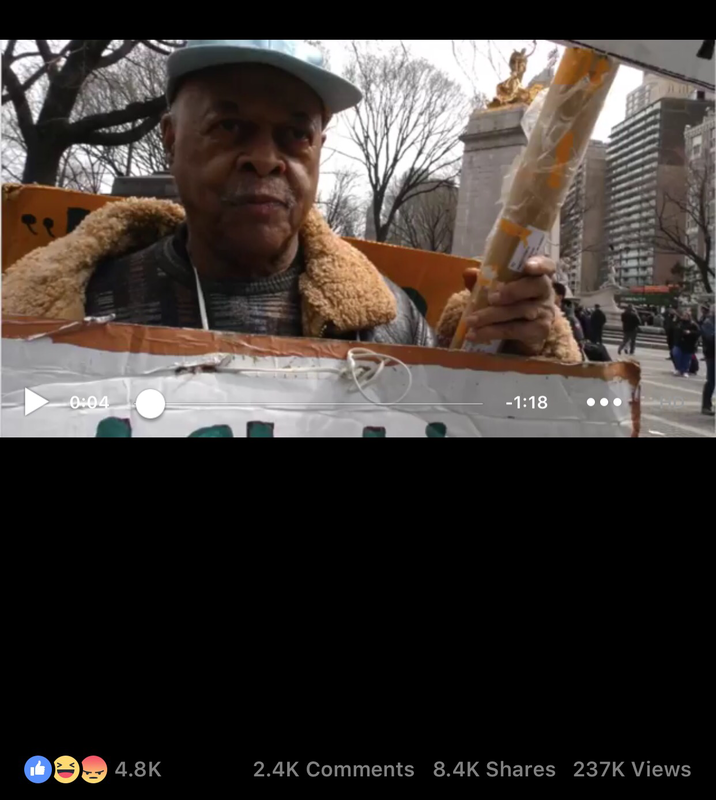 Like everything, never wire money, make sure the group has their 501(C)3 status, and they are legitimate organization. Another way is to search “Dog Friendly Events” in your area, especially in the spring and fall, to see what events are taking place where there are a lot of dog friendly vendors and rescue groups. Fact: shelters and rescues have puppies!!! I am always surprised how many times I hear someone say shelters only have adult dogs. Puppies are abandoned, dropped off, found, all the time. Sometimes a dog gets pregnant and the owner doesn’t want to deal with it, so they drop it off at the shelter. Friends of mine found seven puppies outside of our dog park, with their feral mom and dad running around. All seven puppies lived, were cared for until old enough to be adopted, and found great homes. The mom and dad were also caught. The dad is super sweet, was adopted and doing great. The mom is still feral but in a foster home where they are working with her. Puppies might not be available every day in a shelter, but tell them you want a puppy and they will let you know what they have and when they will be up for adoption. You might not always SEE puppies in the actual shelter because they might be out in foster homes where they can play, learn, and grow in a better environment than a shelter. FACT: Small dogs are available at shelters & rescues. There might not be as many of them, but they are there. Sometimes they are picked up by breed specific rescues like I mentioned earlier. Talk to the shelter, if they don’t have the size you are looking for, I’m sure they can get you in touch with a local rescue. FACT: A puppy from a pet store is a PUPPY MILL DOG!!! Talk about potential problems. Let’s start with the fact that mom, you know, the AKC dog the sales person talked about, is kept in a cage and just gets to produce puppies. That’s all she does. The papers may have a sweet sounding name like “Beautiful Acres Farms” (I made this name up, so if the business exists, it is in no way affiliated with the puppy mill business as far as I know). You want to picture dogs running free, having puppies in the lap of luxury but that is not the case. These dogs are only good to the owners as long as they produce puppies. Then, often, they are destroyed when they age out. 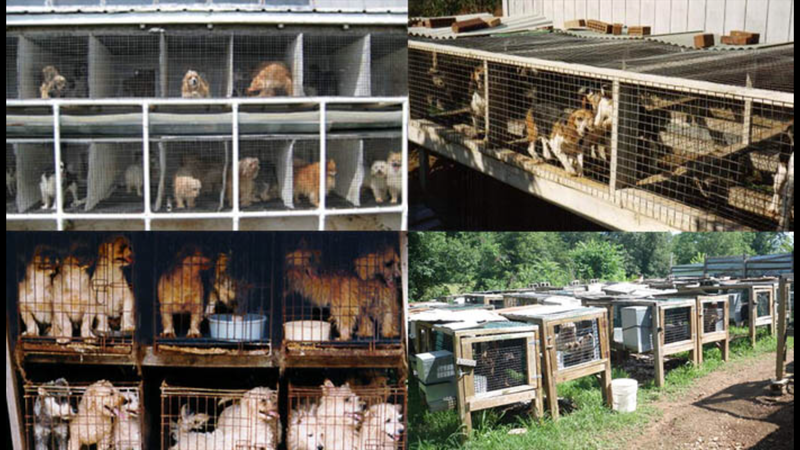 The puppy mill owners do not care about these dogs. They don’t get love, attention. They don’t get human interaction outside of food and water and shots. Can you imagine the only time you feel a human hand on you is followed by a needle prick? Until they go to a pet store for sale, where they are handled from one person to another, often by people who don’t even know how to handle a puppy, supervised by people who collect a paycheck & a commission when they sell the puppy….all of this followed by being ripped from the only security they know, their mom, without an appropriate weaning time and transition. Do you really think this doesn’t cause behavioral problems??? FACT: Like every “business” you have some bad associates, but for the most part, associates and VOLUNTEERS at rescues and shelters are there because they love animals and want to help them. They aren’t there to get rich, trust me. They want the animals placed in good, loving, forever homes so they will work with potential adopters to find the right dog for you. There are dogs out in foster homes where the foster parent will discuss openly and honestly the good and, sometimes, the bad of the dog. They will tell you if they are good with kids, with other dogs, cats, etc. Their sole purpose is to find a good home for the dog so it does not end up back in a shelter. Can they get over zealous about ONLY adoption, etc? Yes, they can. But please understand what they see everyday and what they deal with. Appreciate their passion and understand it comes from the right place. On the flip side, Pet Store clerks have little knowledge of animals and animal care outside what they are trained to say. Let’s be honest, if they REALLY knew and REALLY cared, they wouldn’t be working at a store that sells puppy mill puppies. They WANT you to buy the puppy so they get the commission. What happens after that, they don’t care. The money is in their pocket. They are off to sell the next one. Another unknown fact to many is many local animal shelters do not just have dogs and cats, puppies and kittens, but sometimes other animals as well, such as bunnies, chickens, and even a rooster from time to time. While it may not be as common, any time an animal is picked up or confiscated from an owner, they have to have someplace to go until a new home can be found. At the end of the day, there are too many GREAT dogs in shelters looking for their “furever” homes. If you are looking to add a pet to your family and have no plans on entering that pet into the show world where registration papers may be required, please consider visiting your local animal shelter, look on social media for local rescue groups, or, if you’re looking for a new dog, go visit a local dog park. Many owners there are friendly and usually willing to point you in the right direction. There might even be someone there who works or volunteers with a shelter or animal rescue. Do your homework. If you want a purebred pet, please find a reputable, qualified breeder. If you just want a loving pet to welcome into your home, please consider adoption over purchase. You will truly be saving their life and the life of the pet who may be coming in to take their empty cage.